Stealing the voice of marginalised communities often leads to misrepresentation of their stories. Edward Said showed us how fiction has sometimes been used to perpetuate oppression. This is particularly apparent when white privilege narrates marginalised lives without navigating ethical considerations inherent to the task of representing historic wounds and enduring struggles of another people. Some want to “expose injustice” through fiction. While such impulse is admirable, when coupled with racist assumptions or lack of emotional comprehension of a people’s culture, the result is often muting of already marginalised voices, theft of their narrative, stripping of their agency, and caricaturising of their humanity. But Mammy sells. She’s a hero which makes non-black readers feel good about themselves for having loved a black character. A fictional black personality who might express enmity toward white people as a whole – perhaps the mildest natural reaction to the pervasive and persistent white savagery at the time – will not have similar appeal. Although this story takes place during a time when black men and women were being lynched and burned alive to cheering white spectators, as ABWH points out, the black men are depicted as drunks or wife-beaters who abandon their families, while the white male characters are strong fathers and husbands. It is also worth noting that Abilene Cooper, a woman who had worked as a domestic servant for Stockett’s family, claimed (rather convincingly) that the author had stolen her life story, down to the name of a principal character, “Aibileen”. 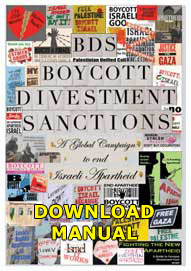 Cohen-Corasanti said she wanted to show how a “Palestinian and Israeli could overcome obstacles and work together to advance humanity.” By “obstacles” she means the wholesale destruction of Palestinian society, use of the most advanced weaponry against principally unarmed civilians, demolition of homes, daily humiliation at hundreds of checkpoints, colour-coded license plates, Israeli-only roads, segregated buses, assassinations, imprisonment without charge or trial, theft of land and water, theft of homes and dignity, bombing of schools, curfews, deportations, multiple generations of refugees, and the general erasure of Palestine off the map. Her idea was to create “the perfect Jewish woman” (Nora) for her protagonist, Ichmad, an unlikely, insufferable Palestinian man. 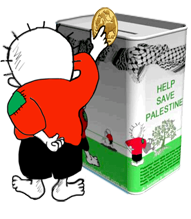 Nora is later killed in a brazen insensitive event stolen from the life and murder of Rachel Corrie. Ichmad’s next wife, Yasmine, is a simple-minded Palestinian who can’t hold a candle to Nora. She “wasn’t tall like Nora. Her facial features weren’t delicate like Nora’s; they were hidden in layers of baby fat. Her teeth were yellow and crooked and she was plump…How could I bring her to the States? How would she ever fit in at faculty parties?” On their wedding night, Ichmad pretends she is Nora. “Yasmine lay on the bed without movement, like dead meat.” The insults, and Ichmad’s contempt for his people, don’t end. Regarding the protagonist’s name, “Ichmad” is how Israelis pronounce Ahmad, the second most common name across the Arab world. Even Palestinian reviewers who liked this book couldn’t stomach this Israelised version. Cohen-Corasanti claims “Ichmad” is an authentic pronounciation in the Triangle. I am familiar with the fellahi dialect in Um-el-Fahm, Taybeh and other Palestinian villages that make up the Triangle. No one pronounces Ahmad with “Ich” sound. In fact, “Ichmad” is a form of an Arabic verb meaning to suffocate or subdue. Had the author consulted with a Palestinian or Arabic linguist, she’d have known that. But, according to her, in the seven years that it took to write this novel, she hired six editors: five Jewish, one Christian Fundamentalist, and all clearly lacking expertise in her subject matter. That alone speaks to the carelessness and arrogance with which Cohen-Corasanti approached Palestinian lives. That she did not conceive of hiring a Palestinian editor gives a lie to her avowed values of equality and partnership. A Palestinian editor likely would have objected to another name: Professor Menachem Sharon (Menachem Begin meets Ariel Sharon – Grand Wizards of war criminals and wanton murders). Cohen-Corasanti mixes these two monsters to create a name for her Nobel Laureate professor character, who takes Ichmad under his wings. Ichmad, whose family is impoverished by Israel, is a math prodigy who studies on a scholarship in an Israeli university in Jerusalem. Aside from the fact that most Palestinians in the West Bank cannot enter Jerusalem, much less go to university there (on a scholarship, no less), the notion that the path to success is necessarily through the oppressor’s educational system is a typical supremacist assumption. It happens that even under the horrors and limitations of Israeli occupation, Palestinians have managed to build 26 institutions of higher education in the tiny enclaves of the West Bank and Gaza. 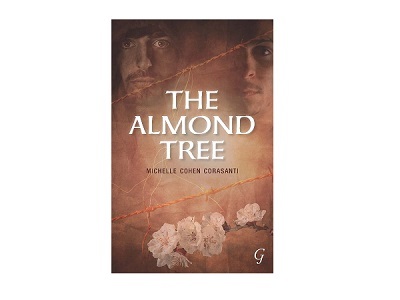 Since publication of The Almond Tree, the author has hired a Palestinian actor to “play” Ichmad in an interactive website, effectively commercializing Palestinian misery and humiliation. Even irrelevant details are offensive. Only in the most orientalist imaginations would a Palestinian groom lift the veil of his bride with the tip of a sword. And only in the mind of a white American socialite does a poor brown Palestinian college student have only “homemade clothes” and must borrow someone’s bellbottoms to wear to a party – as if “homemade clothes” are cheaper than a cheap pair of jeans; as if his family ran a sewing machine from their tent; as if residents of shantytowns the world over don’t wear store-bought clothes. 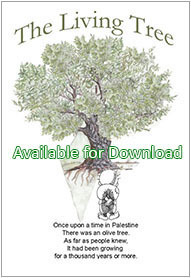 An excellent review by Vacy Vlazna details other ways in which this racist, orientalist novel serves to make a hero of a self-loathing obsequious Palestinian cartoon of a man, and makes a pitiful villain of his brother, Abbas, who opts to defend his family and people by whatever means necessary. Vlazna also points out how the “bad” Palestinians are of darker skin colour in this novel. Her review, however, is a lone voice in a sea of praise extolling this novel. The Huffington Post predicts it will be the greatest seller of the decade. Sadly, they may be right, and, like The Help, it will eclipse authentic accounts of what it means to inhabit a world that considers you a lesser form of human. Thus, a people’s narrative is commandeered. When we are robbed of everything, broken and humiliated, the false saviours step in, colonise our wounds and bring our pain under their purview. And they profit from filling our cultural legacies with their racist assumptions, orientalist distortions and inglorious heroes of small subservient character. I think such presumption cannot come from noble or enlightened sentiments. Although seemingly distant topics, both books come from a master narrative that perverts another people’s truth to fit within the framework of a neoliberal white supremacy cloaked in sympathy and pseudo-solidarity.